Winnovative HTML to PDF Converter library for .NET can be easily integrated in your .NET applications to convert URLs, HTML strings and streams to PDF, to SVG or to images. The converter offers full support for HTML tags, HTML5 with CSS3, SVG and Web Fonts, page breaks control, media type rules, repeating HTML table header and footer, hierarchical bookmarks, tables of contents, fillable PDF forms, HTML with page numbering in header and footer. No External Dependencies. No Installation Required. 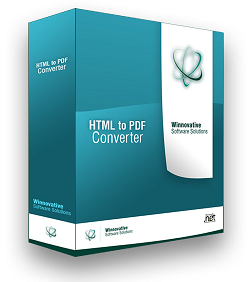 Winnovative HTML to PDF Converter does not need installation and does not depend on any third party tools, works both in 32-bit and 64-bit environments and xcopy deployment on the server is supported. The library was carefully optimized for performance while producing most accurate HTML to PDF conversion results. It was designed and tested to work reliably in multithreaded environments and in high traffic websites such that you can trust it in any situation. In the demo below you to convert a web page to a PDF document that you can download on your device. The web page must be accessible from Internet. Visit our demo website with full .NET code examples. See the full list HTML to PDF features with live demo and C# code for each feature. 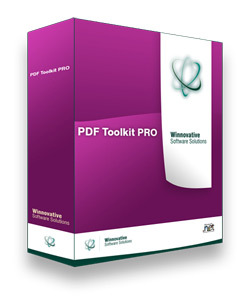 Winnovative PDF Toolkit PRO for .NET comprises the HTML to PDF Converter, RTF to PDF Converter, PDF Viewers for ASP.NET and Windows Forms, PDF Security, PDF Merge and PDF Split libraries, PDF to Text Converter, PDF to Image Converter, PDF to HTML Converter, PDF Images Extractor and PDF Print. With these tools you can easily create great looking PDF documents with complex formatting. 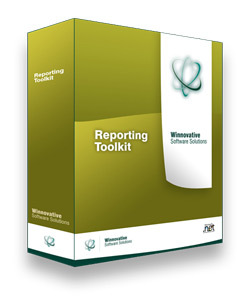 Winnovative Reporting Toolkit for .NET comprises the HTML to PDF Converter library for .NET, the Excel library for .NET and the WebChart control for ASP.NET. With these tools you can easily create great looking PDF and Excel reports with charts and complex formatting. A typical usage scenario of this powerful toolkit is to design your report as an ASP.NET web page containing WebChart controls and then to convert this web page to PDF using the HTML to PDF Converter. The Excel Library also allows the creation of Excel documents containing various types of charts. Winnovative HTML to PDF Converter for Java brings the power of Winnovative HTML to PDF Conversion technology and all its outstanding features to Java platform. The library can be used to convert HTML to PDF, HTML to raster images or HTML to SVG vector image in your Java applications. All the features from .NET library are also available in Java library. Winnovative HTML to PDF Converter for Azure can be used to convert HTML to PDF, HTML to raster images or HTML to SVG vector image in any type of Azure application, including Azure Websites. The generic library for .NET can be used only in Azure Cloud Services but not in Azure Websites because of the restrictions imposed by this platform. The library for Azure was created mainly to overcome this limitation. The library for Azure is also compatible with Mono platform. Winnovative HTML to PDF Converter for WinRT can be used to convert HTML to PDF, HTML to raster images or HTML to SVG vector image in your Windows Store Applications. WinRT is a platform from Microsoft becoming increasingly popular, being the platform for running Microsoft Modern UI applications for Windows 10. At the same time it is a restrictive platform and most of the existing HTML to PDF converters will not work on it which makes our software even more valuable. Winnovative HTML to PDF Converter for Xamarin can be used to convert HTML to PDF, to raster images or to SVG vector image in Xamarin Applications for iOS, Android and Mac OS X.
Winnovative HTML to PDF Converter for Mono can be used to convert HTML to PDF, to raster images or to SVG vector image in Mono Applications for Linux, Windows and Mac OS X.
Winnovative HTML to PDF Converter for .NET Core can be used to convert HTML to PDF, to raster images or to SVG vector image in .NET Core Applications for Windows, Linux, OS X and FreeBSD. The evaluation version of the Winnovative Software Tools is fully functional and unlimited in time such that you can evaluate the product as long as you need to ensure that it works for you as expected. We offer free technical support during evaluation period. You can get a full free trial version of the software from downloads page of our website. The downloaded archive contains the development library, the documentation files and the sample projects with full C# and VB.NET source code. The Winnovative Software licensing model consists in two types of licenses : Deployment License and Redistributable License. The Deployment License can be used in a single application that can be deployed on a single server owned by your company. The Redistributable License can be used in an unlimited number of applications that can be deployed on any number of servers. The Redistributable License can be distributed as part of your applications to your own customers without any additional costs. A large number of are currently using our software. You can see below a short list of important companies and institutions from all over the world and from all domains of activity that are using and enjoying our products. If you have any question about our products please don't hesitate to contact us. Before contacting us you can also check the online documentation and demo applications.